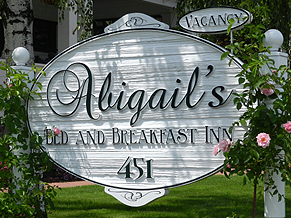 A long-time love of the name, Abigail, and a long-time love of American history are the inspirations behind the name Abigail's Bed and Breakfast Inn. As we work our way through our cosmetic remodels, we'll introduce you to "our" Abigails and include before and after photos. Abi­gail Scott Duni­way arrived in Ore­gon in 1852 with her father and eight sur­viv­ing sib­lings. Her mother and a baby brother had died dur­ing the dif­fi­cult jour­ney on the wagon train. The fam­ily spent their first win­ter in Lafayette; a small but busy fron­tier town. Abigail’s father, Tucker Scott, rented an old build­ing and set up a hotel that became quite suc­cess­ful. Abi­gail was just sev­en­teen-years-old and had already had some of her writ­ings pub­lished in a news­pa­per back East. She had also been in charge of keep­ing a diary of their jour­ney out West. So with the con­fi­dence gained from her writ­ing expe­ri­ence, she decided to set out on her own as a school teacher instead of help­ing her father with the hotel. Within a year of get­ting a job as school teacher, she met and mar­ried Ben Duni­way and set­tled in a nearby com­mu­nity before even­tu­ally return­ing to Lafayette in 1857. Abi­gail had three young chil­dren and was busy as a pio­neer wife and mother. Dur­ing this time, Abi­gail con­tin­ued to write — a cre­ative out­let she thor­oughly enjoyed. She found a plat­form for her writ­ing through the local news­pa­pers, in which locals would debate the hot issues of the day. Her favorite issue was women’s rights and she wasn’t afraid to express her con­cern that pio­neer women were going to their graves too early because they were overworked. Her writ­ings became so pop­u­lar that peo­ple were rid­ing into Lafayette to hear her read her lat­est pub­lished piece. Finally, in 1859, when Abi­gail was 25, she had her first novel pub­lished. The book was called “Cap­tain Gray’s Com­pany,” and was based on the story of her own emi­gra­tion. This book was the first novel ever to be printed west of the Rocky Mountains. In 1863, Ben lost the farm out­side of Lafayette and the fam­ily moved closer in to town, where Abi­gail took in board­ers and taught school. Ben did odd jobs until an acci­dent occurred shortly after their move that left him unable to work. Abi­gail became the bread­win­ner and Ben the care­taker of the chil­dren. This sit­u­a­tion turned out to suit their fam­ily well as Abi­gail could now do more of the writ­ing and teach­ing that she loved. 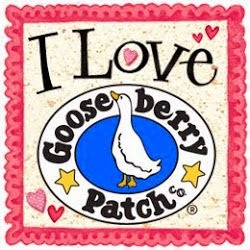 Ben sup­ported Abi­gail and he was good with the chil­dren, call­ing them a "great source of joy." The chil­dren, in turn, “adored” him. 1865, the fam­ily left Lafayette for Albany. Her career as a mil­lenary store owner, then as a news­pa­per edi­tor, jour­nal­ist, orga­nizer, and lec­turer took off. In 1871, when she moved her fam­ily to Port­land, she began the fight for equal suf­frage — the woman’s right to vote. For 40 years she fought for the vote to come to Ore­gon, and after many defeats and set­backs, she lived long enough to see the fruits of her labors. In 1912, she was given the priv­i­lege of sign­ing Oregon’s Suf­frage procla­ma­tion and became the first woman to vote in the state. Abi­gail Scott Duni­way became known as the “Grand Old Lady of Ore­gon” in her last years. She died in 1915, a few days before her eighty-first birthday. Duni­way Park and Duni­way Schools of Port­land and McMin­nville honor her mem­ory. Her name is inscribed on a bronze plaque in the League of Women Vot­ers’ Hall of Fame, and many books about woman’s rights describe her achieve­ments. In World War II, a large land­ing craft was named for her. After - A true labor of love!